Dante is the star of this piece…..what an absolute beauty!.I wasn’t sure if it was a dog or a Friesian heifer at first! !…Dante was leading a pack of Great Danes ,which just makes the view even more impressive!…It reminded me that the random notion of pausing for breath while running is just as important to me as running…. Now ,very kindly the lady who owns Dante…wait…wait,sorry Dante owns the Lady…oh you know what I mean!! 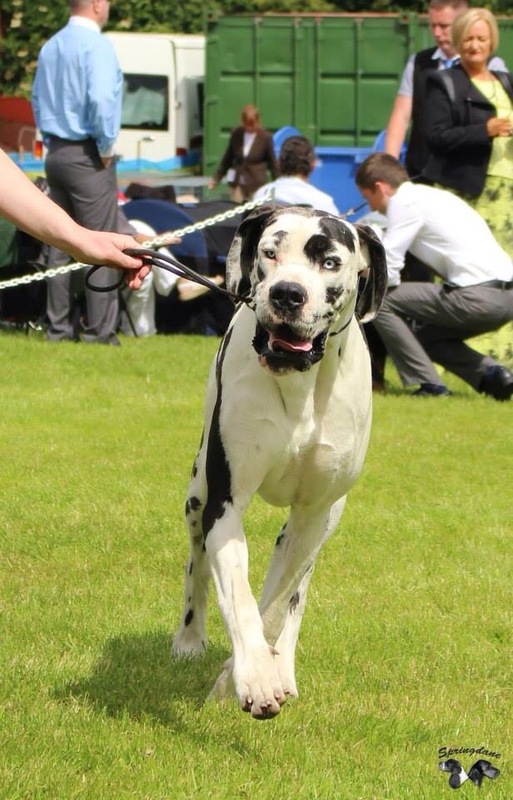 :))has kindly given up her time to give me her input into Life with Great Danes…expert ownership and living with giants!….first some basics! The Great Dane is truly a gentle giant. But like any dog a lot of training goes into making this giant so gentle. You need to start at day 1 set out the rules and stick to them. 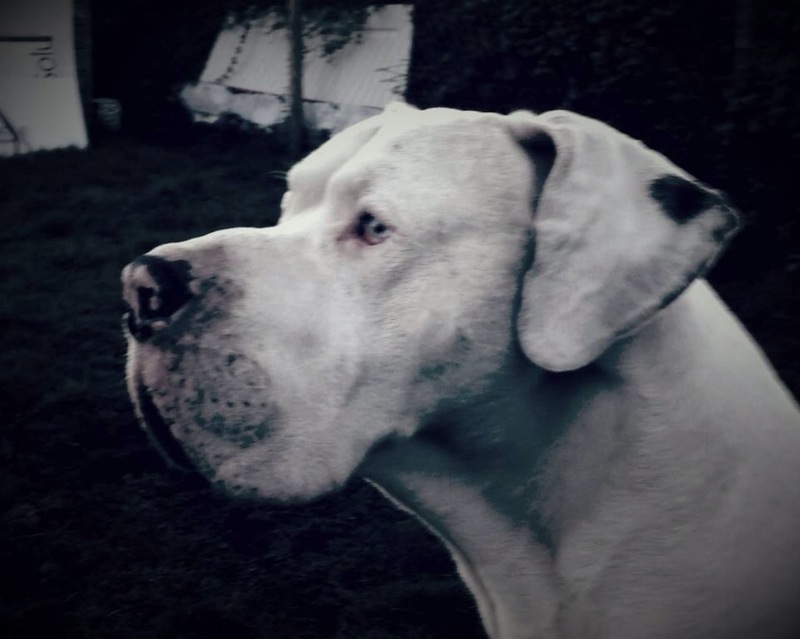 The Great Dane needs rules and boundaries; a confident calm owner is a must. Great Danes are a giant breed therefore they grow very very fast. By doing this they need a good quality diet. It is vital that the calcium/phosphorus ratio is correct in maintaining proper bone growth. ( 1.5% / 1.0 %).Great Danes puppies should be fed an adult food, not containing high protein, around 23% is good. Some people chose to feed raw diet this is a personal preference. Great Danes puppies are quick to learn, start as you mean to go on, if they going to be indoors get them a bed or even their own crate and train them to sleep there. They cannot be overly exercised; they only need a small amount of exercise for their first year. Do not jog with a Great Dane puppy .Heavy vigorous exercise will damage their joints. 5mins for every month is a good guide line, or free exercise in the garden. 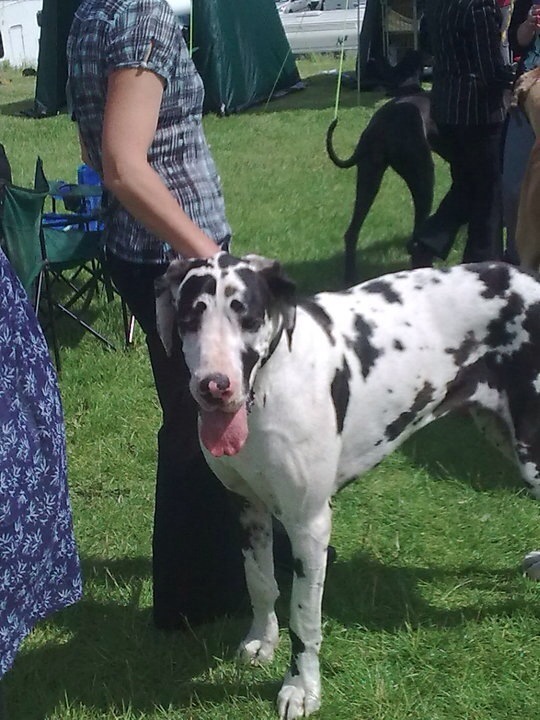 A lot of thought needs to go into the decision of owning a Great Dane or any giant breed for that matter. You need to remember that these dogs grow very big and with that everything else is magnified. The love and happiness they give is huge but A trip to the vet can be very costly; a course of any medication will cost more than your average dog. The cost of feeding is more than the average dog. 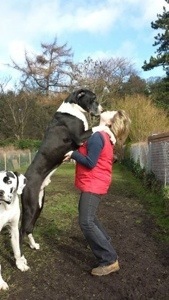 There are a lot of Great Danes in rescues centres because of this. People come to realise the size, cost etc only when they have fully grown. 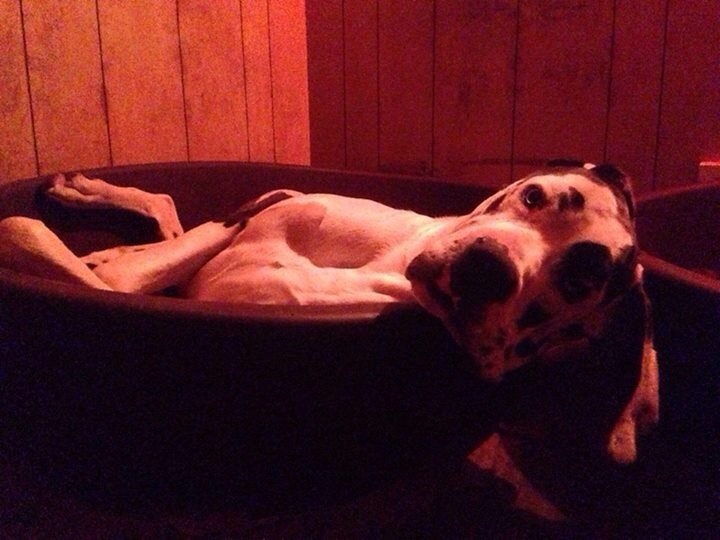 It is vital that you take all this into consideration before choosing to own a Great Dane. A good place to research where to buy is dog shows. There are a lot of shows throughout the year so it would be an idea to take a trip to one and talk to the owners there. Some of the people at the shows will be breeders so will have lots of information about the breed. You will also get the see different colours sizes etc. As i said before there are a lot of Danes in rescue: so that is another option rather than starting with a puppy. 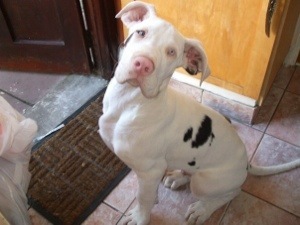 Here’s a …little puppy…four months or so….can I have one mammy ,can I ?,can I?….. They do grow of course!…. This is the Padraig Pearse look ! Thanks again Michelle ,you’ve been really generous with your time,look forward to hearing more from the boys!! http://youtu.be/gOAbTE1ridc I’ve a suspicion Dante is a tad braver but I’m sure he’s a scooby fan too!. Next Irish Wolfhounds at Farmleigh ,The legend lives on.